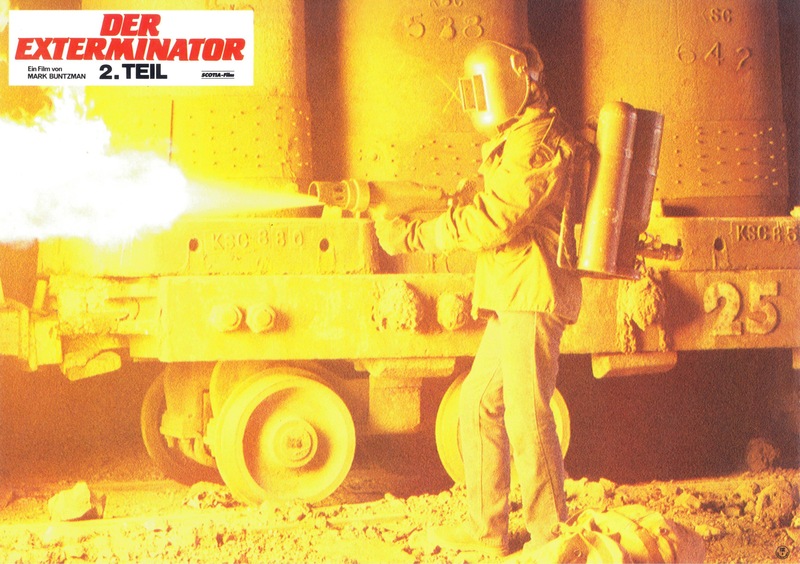 Tagline- In the Exterminator He Made the Streets of New York Safe. All Has Been Quiet Until Now. 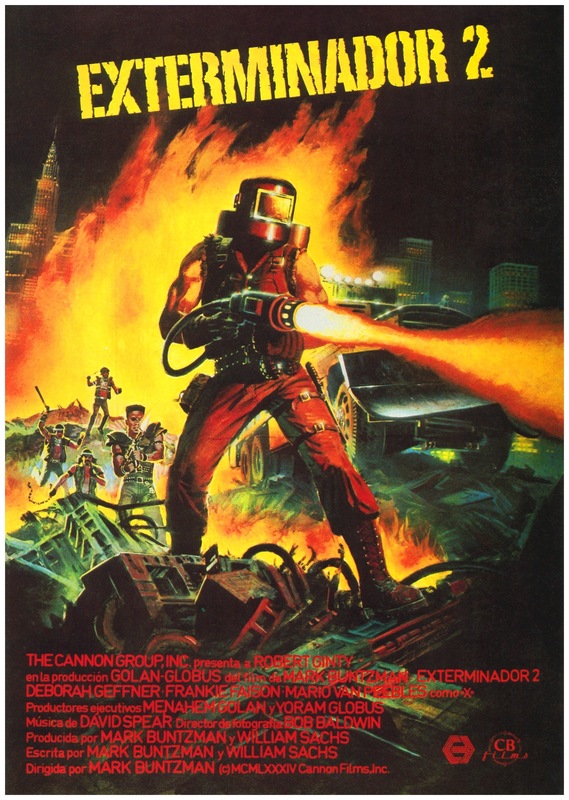 Released in 1984, Exterminator 2 for the most part a sequel by name only as it has very little to do with the original and outside of a passing mention on a news report, there is no connection between the two films with the exception of Robert Ginty as John Eastland. At the end of the Exterminator, the police knew Eastland’s identity and the political corruption plot the Government also knew his identity so the fact Eastland is walking the streets of NY makes this in general a sequel by name only. Writer/director Mark Buntzman was a producer of the original film so I’m a little surprised there wasn’t more of a connection. 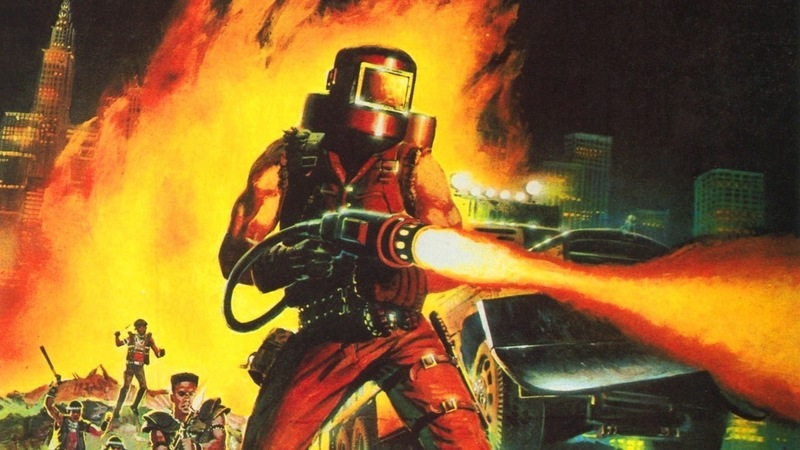 The 80s were a great time for cinema as Hollywood put out quality films and not mindless junk and the B-Movie was thriving perhaps more than ever thanks to cable TV and home video. 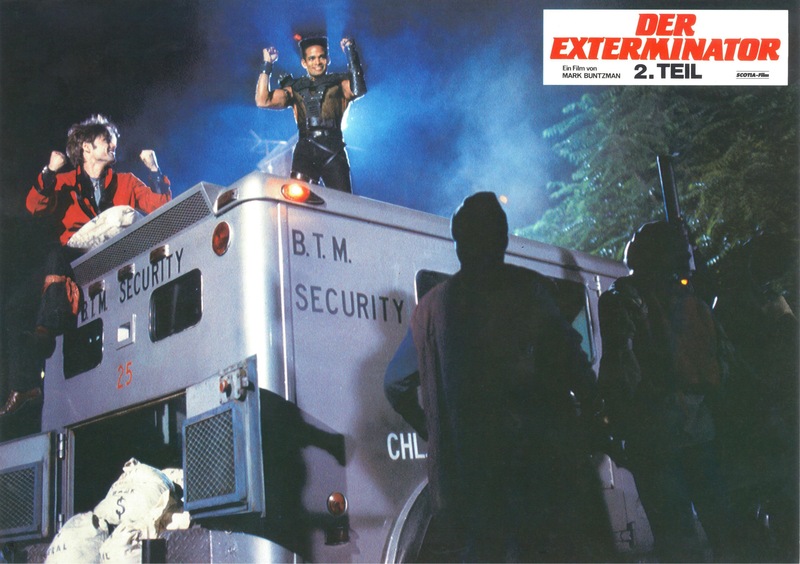 Exterminator 2 is very much a product of its time and while its not the best B-action movie it is however entertaining enough that should please fans of cult cinema. 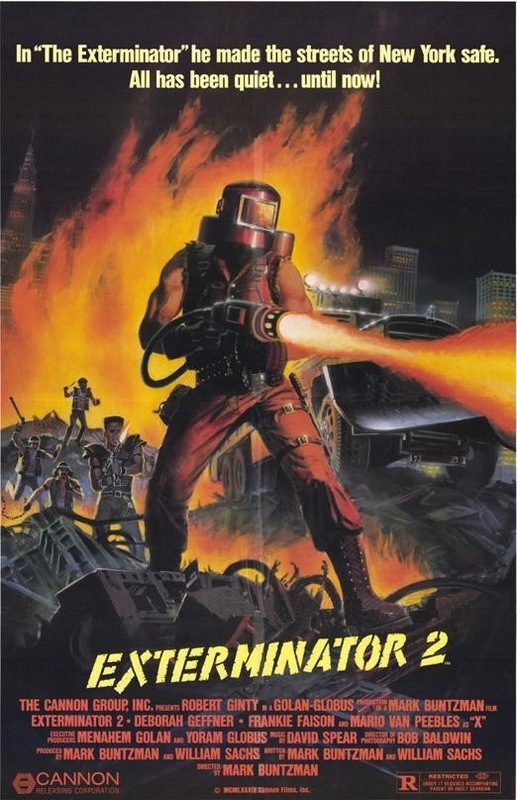 Despite the cult following of the original film it isn’t as well known as it should be and despite a couple of pacing issues it was an excellent film and while the sequel doesn’t quite measure up as I stated Exterminator 2 does provide a fun viewing. 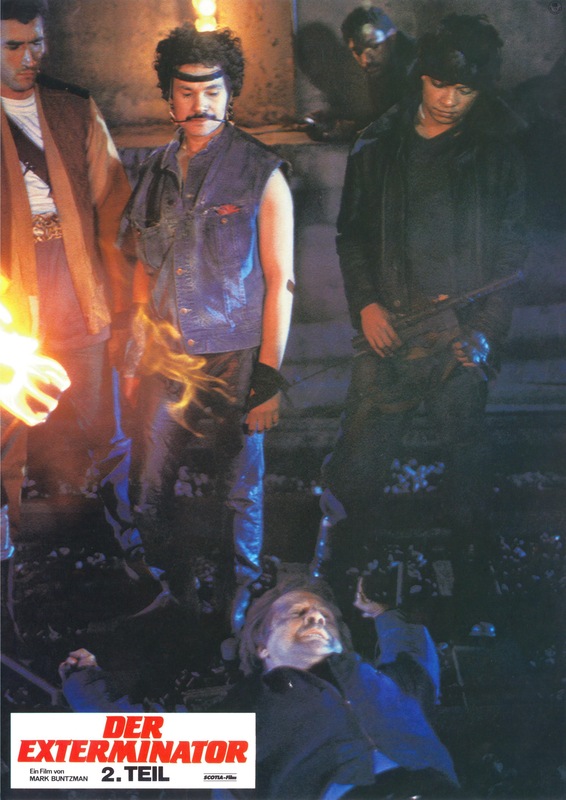 The original film was an excellent gritty low budget exploitation flick that has held up very well over the years. 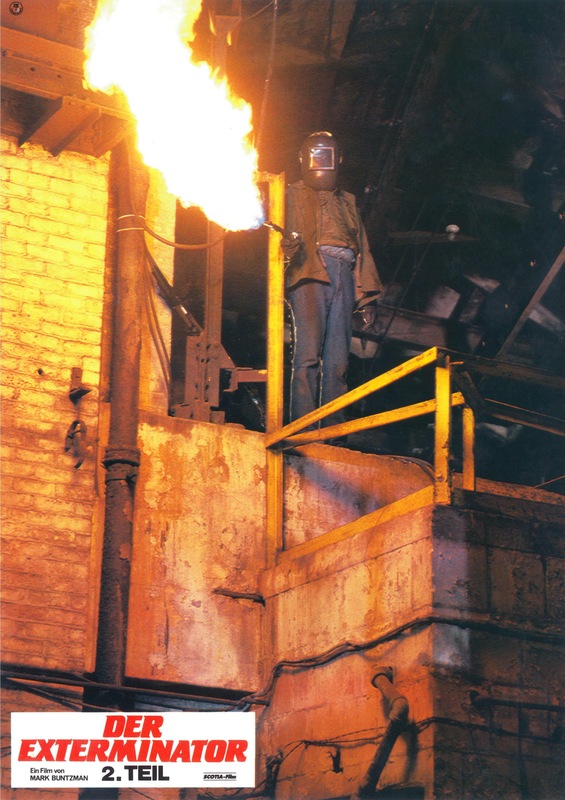 Obviously certain aspects of the filmmaking techniques might be a little dated as with each generation comes a new style. 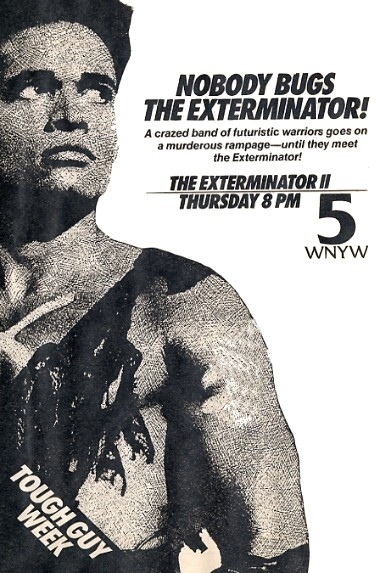 But the story remains relevant and if made today there wouldn’t be any real changes made and as long as their is crime and injustice the Exterminator will always be relevant. 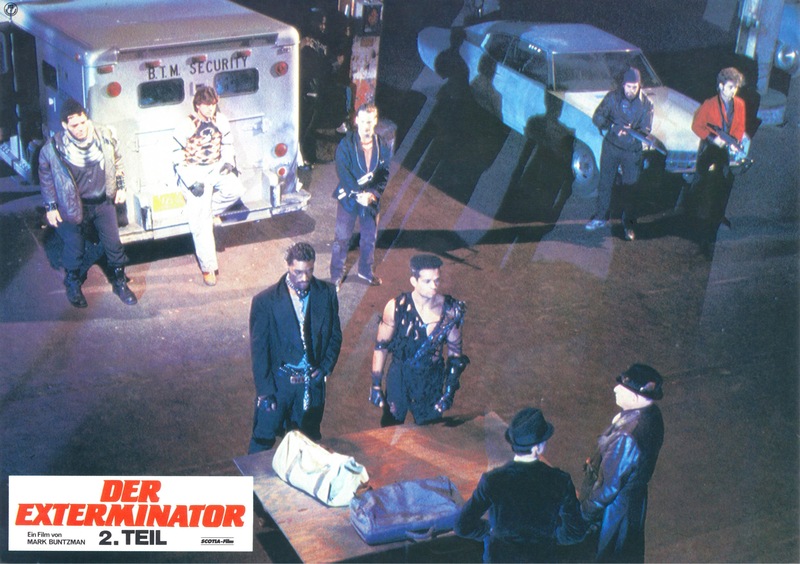 Instead of making a gritty exploitation film, Exterminator 2 opts for the standard 80s action flick and while I suppose one can label this an exploitation film its very different in tone from the original. This was made by Cannon films and if you’re a fan like I am you should know what to expect here. The screenplay by Mark Buntzman is kind of the standard 80s action film of the time. I don’t think anyone goes into this expecting great writing, but gone is the strong social message of the original. 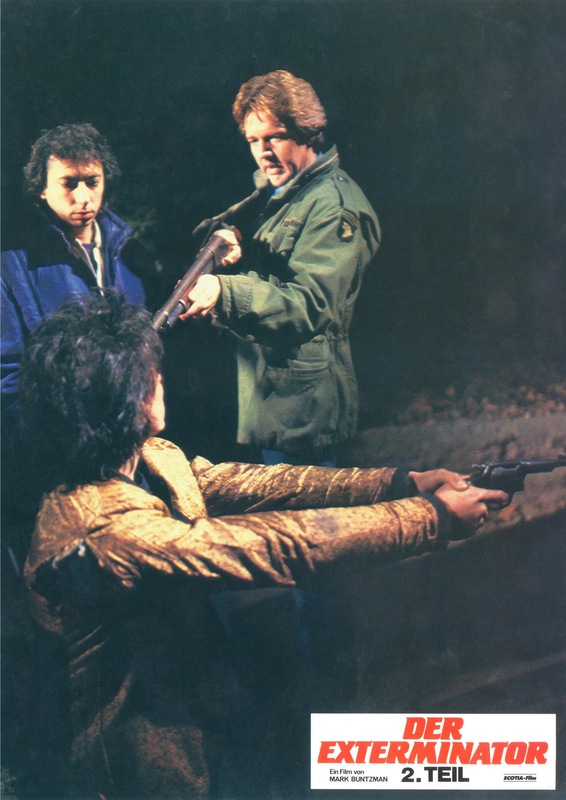 Even in the original film Eastland is kind of a mystery; while we understand why he seeks revenge on the gang who attacked his friend it wasn’t explained why now he had enough of the crime in NY and while I suppose its fairly obvious I still think there was a missed chance at getting deeper into Eastland’s psyche. 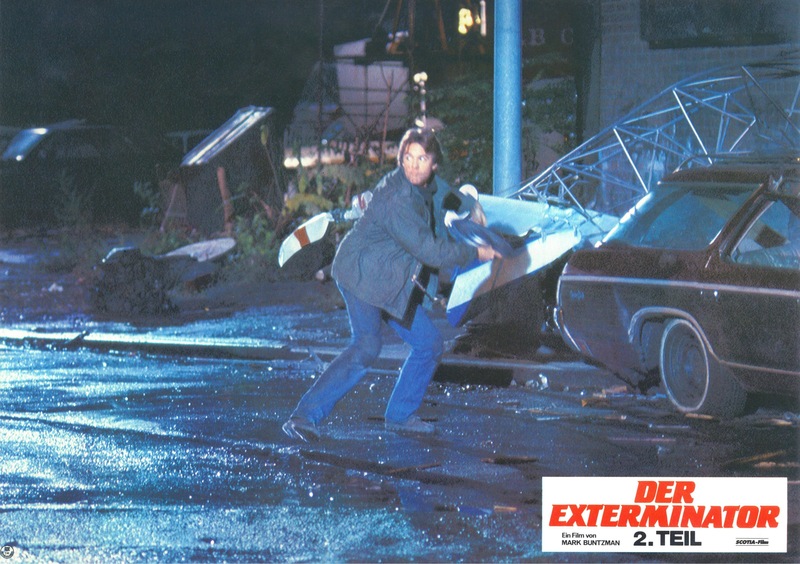 Here Buntzman with Exterminator 2 never really develops Eastland much and if anything he’s just sort of there. However in the original film we see he hasn’t fully gotten over his time in Vietnam and outside of his one friend he’s very much a loner with a tragic sadness. Here he’s still sort of a loner despite having a close friend and a girlfriend, but at times he also seems happier and it was a nice touch showing that other side of John Eastland. 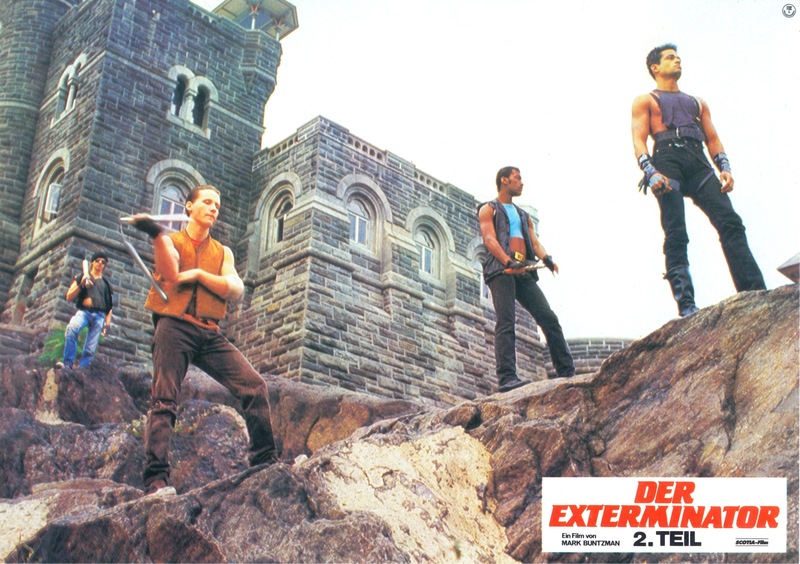 Unlike the first film where Eastland sets his sights on a few different targets, in Exterminator 2 throughout the film he’s only after the gang led by X only in the 2nd half it gets more personal. 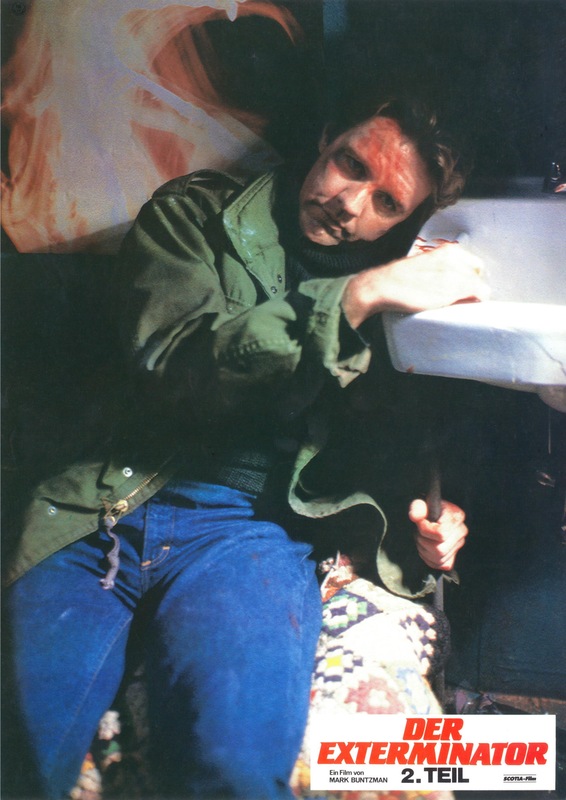 I liked the fact in the original he had different targets and it even to this day makes the Exterminator standout from other vigilante films, but here Eastland has one target and the film is a little more standard due to that. As director Mark Buntzman delivers a fun film, but not without some pacing issues. The writing wasn’t strong enough to carry the film during the lulls in action and unlike the original, Buntzman never really establishes much of a tone. The action sequences are entertaining though they do repeat themselves at times. But there are some really fun action scenes and while the pacing is an issue at times, Buntzman also delivers a really fun film. While this film might be a little more graphic than the original the violence doesn’t have that gritty feel to them, but I suppose they weren’t meant to. Overall despite some pacing issues and some scenes being a little a like, Mark Buntzman does deliver the goods and fans of the original should be entertained. The only real letdown is the final act is a bit anti-climatic, but while this is by no means a great film Mark Buntzman crafts a highly entertaining flick. Robert Ginty as John Eastland is excellent. He’s not the greatest actor though he isn’t bad either, but he’s not the most charismatic actor, which I think works in his favor since it makes him feel more real if that makes any sense. 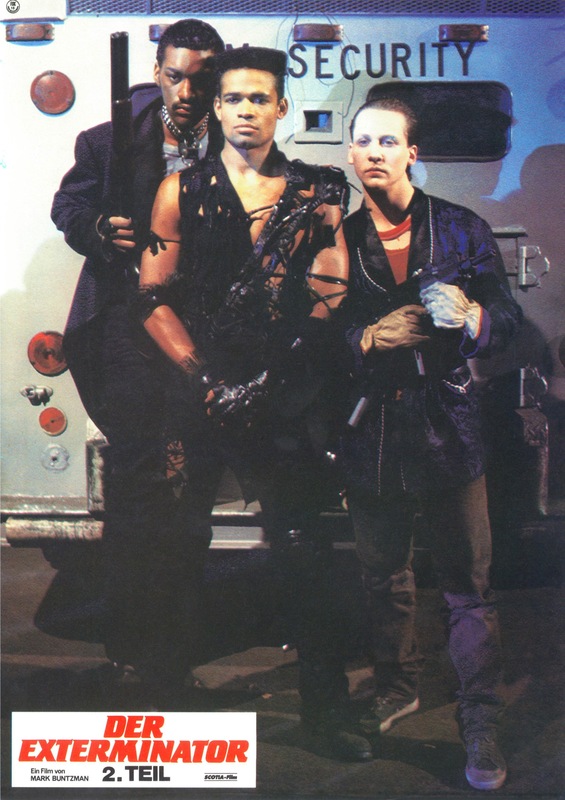 Rest of the cast is solid and Mario Van Peebles is a blast to watch as X. 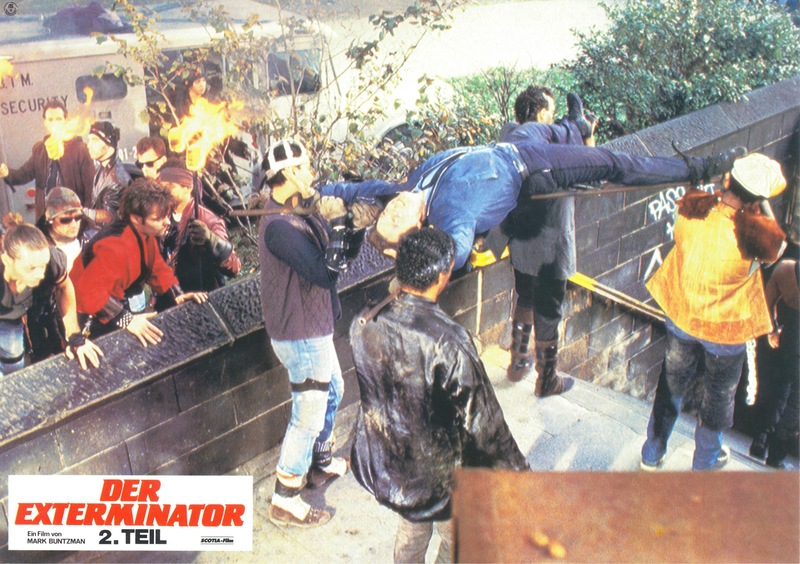 Overall Exterminator 2 is a highly entertaining film and while it doesn’t match the original film its still a fun action packed exploitation film. Co-writer William Sachs also shot some additional footage though I have no idea what he shot, but the film does flow well and doesn’t seem like 2 filmmakers were involved. Little bit of extra trivia the news report in the beginning says the media dubbed Eastland as the Exterminator, but that’s incorrect as Eastland named himself that.